The past 12 months have been some of the most difficult ever for investment banks, but many institutions continue to provide outstanding services to their clients. Investment banks are still writing off big losses, raising fresh capital and bracing for potential regulatory reform more than a year after the credit crunch first hit. Six months after JPMorgan Chase’s federally aided bailout of Bear Stearns, a number of major financial institutions are still being challenged by financial conditions and are seeking new lifelines from sovereign wealth funds from the Middle East and Asia. While the shocks to the financial system have been enormous, many investment banks are doing an excellent job of going about their business of helping companies to raise money in the capital markets and advising on mergers and acquisitions. Some very big deals are still getting done, and cross-border mergers are thriving. As companies in the big emerging markets become more active participants in the global economy, the investment banks based in these countries are growing as well. 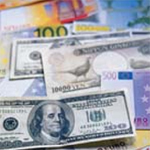 Banco Itaú in Brazil, Renaissance Capital in Russia, ICICI Securities in India, and China International Capital are examples of “BRIC” institutions that are taking advantage of this trend. 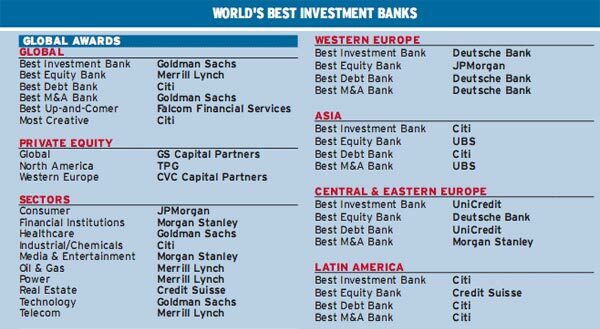 Global Finance’s editors, with input from industry analysts, corporate executives and banking consultants, used a series of criteria to identify the best investment banks in a wide range of categories, by geography and sector. We considered deals and offerings announced or completed in the last three quarters of 2007 and the first half of 2008. Our selection criteria included market share, customer service and advice, deal-structuring capabilities, distribution network and staff dedicated to investment banking. We also considered efforts to overcome the difficult market conditions that prevailed, as well as innovation, competitive pricing and the aftermarket performance of underwritten securities. The banks that won were not necessarily the biggest but, rather, the best and the ones that major corporations around the world should consider when looking for a financial adviser to handle their investment banking needs. 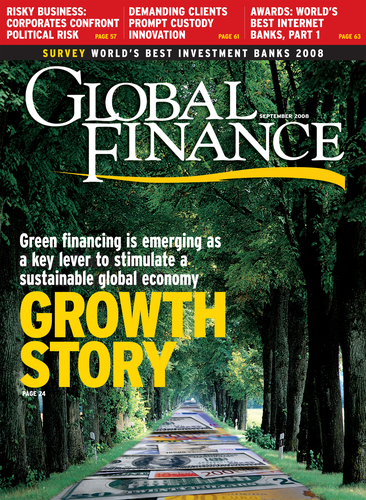 Global Finance selected the best investment bank globally and in five global categories, as well as winners in six regions and 23 countries. 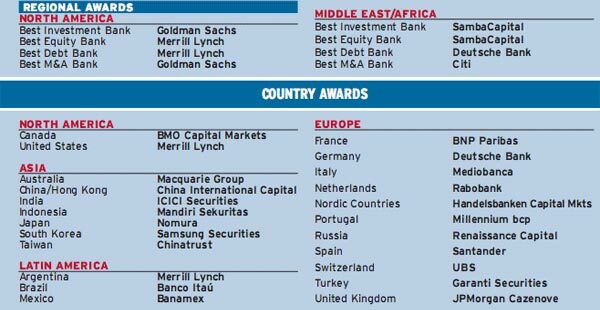 We also picked industry sector winners in 10 categories, as well as the best deals of the year in equity, debt and M&A. ; In addition, we identified the leading legal advisers globally and regionally.